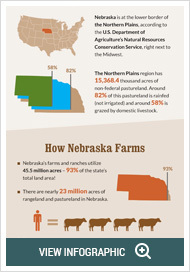 Agriculture is an integral part of the culture and economy of the Midwest. It is a way of life that should be valued and protected. Should a legal issue arise for you, you need an agricultural lawyer on your side who has extensive knowledge of the industry and who understands the nuances that agricultural law involves. At Bottlinger Law L.L.C., we know agriculture is more than a job. We are passionate and knowledgeable when it comes to agricultural law, and we want to help you protect your tradition. Legal issues can disrupt your life and your business. You need a lawyer who understands your problem and your industry. We offer free consultations, so if you are unsure if you can make a claim, contact us at (402) 505-8234 immediately.